Elbas is an effective alkalizing Syrup. Alkaliser is used when long term maintenance of alkaline urine is desirable. Alkaliser syrup is used in patient with uric acid and cystine calculi of the urinary tract. It is also used in acidosis of certain renal tubular disorders. 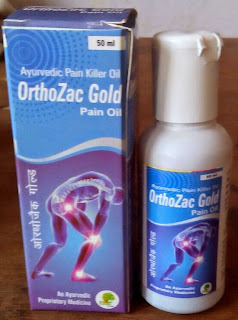 It is also used In muter kuch, renal calcui, urinary diathesis, painful micturition and uretha stone. Gokharu (Tribulus Terrestris): Gokharu contains traces of alkaloids, harmine and Harman. Additionally, they contains saponins, flavonoids, kaemferol, tribuloside and its derivatives, fixed oils, resins, traces of essential oils and nitrates. Fruits are used as diuretics, tonic and also used in the treatment of calculous affections and painful micturition. It is also used as aphrodisiac and in gout. In Dashmoolaristha and Chyawanprash Ayurvedic preparation, Gokharu is an essential ingredient. Punarnava (Boerhaavia diffussa): Punarnava contains about 0.4% of alkaloids known as Punarnavine and punernavoside, an antifibrinolytic agent. The herb is used as diuretics and expectorant. Punarnava is prescribed in the treatment of Jaundice. It is also used in abdominal pain, enlargement of spleen and loss of digestive power. Vijaysar (Pterocarpus marsupium): It contains 70-80% of Kinotannic acid, kino-red, K-pyrocatechin, resin and gallic acid. It is also known as Kino. 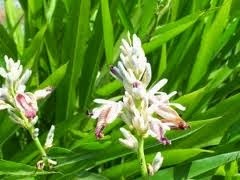 It is used as powerful astringent and also used in the treatment of diarrhea and dysentery, passive hemorrhage toothache and in diabetes. Kulthi ( Macrotyloma uniflorum): Kulthi has diuretic and antilithiatic property. Kulthi is supposed to remove stone of kidney and gall bladder. Kulti breaks the urinary stone into small particles and thus expels stones from body. It is very good source of protein. It is also bitter, acrid, thermogenic, anthelmintic, astringent, diaphoretic, expectorant and febrifuge properties. Babul (Acacia): The leaves and bark of acacia is used in controlling bleeding and infections. Barks is also used for cleansing teeth and preventing teeth problems. Jeera (Carum bulbocastanum and Nigella Sativa): Jeera is Natural Aphrodisiac and carminative property. It improves digestion, immunity and intelligence strength. It is also useful in fever, bloating and gaseous distension of abdomen. It is also good for eye and vision power. It is also useful in vomiting, diarrhea, dysentery and inflammatory conditions. Use of Jeera is supposed to strengthen mother’s internal system and fight against infections. Dhaniya ( Coriandum Sativum): Coriander(Dhaniya) is very good anti-oxidant property. Seeds of coriander are used as diuretic and also enhance proper endocrine secretion, relieving menstrual discomfort and pain. Coriander seeds are rich source of copper, magnesium, iron, potassium, manganese and zinc. These essential minerals help in improving metabolism, increasing red blood cell, enhancing growth, increase sperm generation, helps in maintaining blood pressure in control and useful in controlling diabetes. Coriander is very good antiseptic property. Harde ( Terminalia Chebula / Myrobalan): Harde is used as astringent, laxative, stomachic and tonic. The laxative property of Harde is due to its anthracene derivatives present in it. It is used for the treatment of various ailments as one of ingredients in Triphala Churna powder. Bahera ( Terminalia Bellirica): Also known as Beleric. It is very good rejuvenative and laxative. It’s powder is used for dressing wounds to stop bleeding.Its paste is also applied on swollen and painful parts. It helps in loss of appetite, flatulence, thirst, piles and worms. It prevents aging, enhance immunity, impart longevity and increase body resistance towards diseases. It helps in lowering cholesterol and blood pressure. Amla (Emblica Officinalis/Phylanthus Emblica): Amla is a very good source of Vitamin C. It is very good diuretic, acrid, refrigerant and laxative property. Amla is also source of phosphorous, iron and calcium. It is also administered in Jaundice, dyspepsia and anemia along with iron compound. Seeds of fruits are given in asthma and bronchitis. ChayawanPrash contains Amla is one of its main ingredient. It is also one of the three ingredients in Triphala. Giloe (Tinospora Cordifolia/ Gulvel): Active ingredient of plant shows anticomplimentary and immunomodulatory activity. It is used as diuretic, bitter tonic and aphrodisiac. It is also known as Amaritavalli. 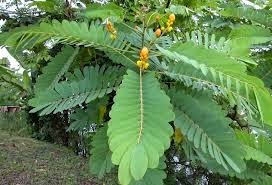 Lal Chandan (Pterocarpus Santalinus): Lal Chandan (Red Sandalwood) is useful in treating digestive track problems, fluid retention and coughs. It is also useful in blood purification. Adult: 2-4 teaspoon full thrice a day with one glass of water. Children: 1-2 teaspoon full thrice a day with one glass of water. Or as directed by the physician.